Testing long exposures and light paintings with Erika King and one of the gorgeous Siren Masquerade masks. Getting snowed in at Virginia Moonwalkers made for an ideal situation for playing with my box of light toys in the dark. Seriously. This Stuff RIGHT HERE is amazing. I’m addicted and I keep turning people into addicts, Each kind that I try becomes my new favorite. You should check it out. Go here and ‘Like’ the Facebook page. They are still working on having an online order form but as it is right now you just message them and place your order that way. This soap will take you to your bath happy place. The lovely Natalia came over on a beautifully windy afternoon to update her headshots. We braved the winds for a few shots and then headed indoors to create some more beauty/studio type of shots. Variety is the key to a great portfolio when bringing images to a new agent or casting directors. I feel it is important to always get different looks from a headshot session. The only look we didn’t have time to capture was a Wonder Woman shot! Natalia looks is a Lynda Carter Ringer! Am I right?? Stunning. I believe in challenging myself. Sometimes a little bit too much. I tend to take on too many projects and work around the clock because I love what I call ‘work.’ I love creating and trying out new things with my camera. So I enrolled in an online class called project 52 with Don Giannatti. I enrolled in the paid Pro workshop and set about it faithfully…for the first 12 weeks. I’ll admit publicly that I have fallen off the horse due to all the things that get in the way of doing a fun extra project. ha ha. But I am still plugging along, in my own Taurus way, on the assignments. 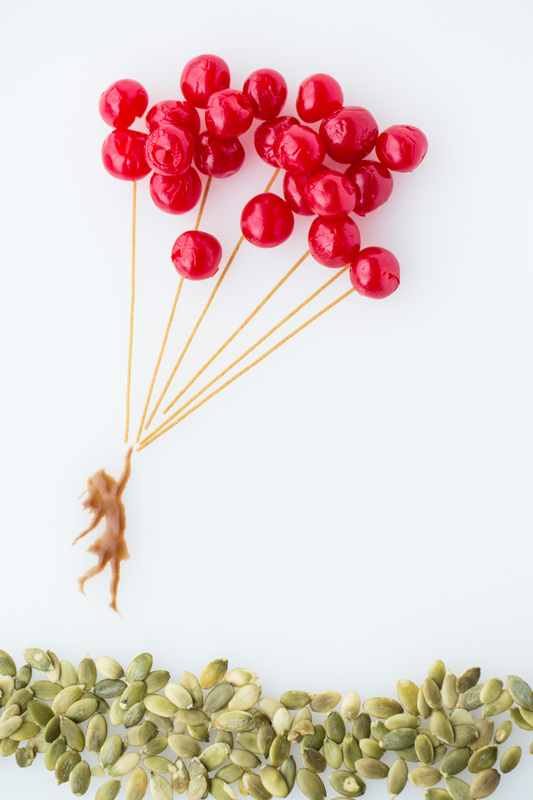 The project for this particular week was ‘red balloons.’ We could do anything we wanted as long as it had red balloons as a feature in the image. I had just gotten off a red eye flight from California when I realized the assignment was due that evening. I actually had not even had time with my work schedule to check what the assignment was. I read the part about red balloons and immediately went and combed the area for red balloons. There were none in any of the drug stores that were within walking distance of where I was staying. hmmmm. I was also tired and feeling a bit lazy while also needing to unpack so I grabbed some pipe cleaners at one of the stores and created the first image. Hmmm. What else did I have handy but more importantly what was my vision. Red Balloons. I looked at the above photo on the back of my camera and envisioned it with a girl dangling off. But how to create the vision and make it engaging and interesting and with what I had and in a time crunch. Hmmm. Just at that moment, there was a knock at my door and the incredible artist Zlata Kolomoyskaya stopped by to do a quick sketch of my hands for a project she is working on. She saw all my materials laid out and asked what I was doing. We brainstormed for a few minutes and then ran to the corner deli. There we found the tools to make a worthy image. Cherries and Hershey Syrup. I wanted fresh cherries but there were none to be found so we settled for the kind in the syrup. I described to her what I wanted the girl to look like and in about 6 minutes drew exactly what I wanted with Hershey Syrup with a piece of spaghetti!! Zlata is so incredibly talented it blows me away.